I am blessed by homeschooling. I am blessed to be able to homeschool. It is not a blessing I take lightly or for granted. I am also blessed by curriculum that we use, and curriculum that we review and eventually incorporate into our daily schedule. Here to Help Learning is one of those curriculums. The Schoolhouse Review Crew originally reviewed it last summer. Shortly after that, we put it aside for our summer break, and then picked it back up in September when we started back with formal lessons. I loved it then, and I love it even more now. Writing is hard. Teaching writing can be hard. Teaching writing to a wiggly, squiggly 9 year old boy can be even harder. There are a few programs we love for older students, but for younger kids, the choices are more limited. Trying to find one that fits my kinesthetic learner is even harder. The video based lessons are great for my active boy. Mrs. Mora's humor keeps him laughing. Her clear instructions keep him moving forward. The worksheets engage him, and the sidekick dog entertains him. More importantly he is learning and WRITING! Like, I have to tell him to come to a stopping point with the warm up exercises or he would write a 5 page paper each time! And that's just the warm up! And get this- we do the lessons usually 4 times a week. And he still looks forward to it. Little prep for me. Lot of fun for him! And he is developing some skills and a love for learning along the way! Do you have a writing program you love? Ashton's Attic is the brain child and business of my 22 year old daughter, Ashton. About 6 years ago we lived in Virginia and she had an attic suite all to herself that was rather large. Because of that space, she stretched out her sewing stuff and began sewing quilts for people. Ashton's Attic was born and has been growing every since. Now, each month she turns out custom T- shirt quilts for people across the United States. From quilts for graduation and birthday gifts, to baby clothes quilts and ones made in memory of a loved one, each quilt is designed, laid out, layered, and quilted by Ashton alone. As you can imagine, this endeavor can take up a lot of space. A lot. And we no longer live in Virginia with a large attic space. So finding room for her business is often a challenge for Ashton and until lately, she has had her machines and such set up in our furnace/storage room. Yep, we are nice like that. Since Ashton is still living at home for a while, we decided to make some changes to our existing space to give her more room and a brighter, more cheerful place to sew. After all, she is often at her machine 4-8 hours a day. So the boys and I packed up our school room, relocated ourselves to another space in our living room, and let her do her thing. It has been a slight adjustment for the boys, but so worth it to see her spread out and sew with joy and the sunlight streaming in. Maybe someday Ashton's Attic will have a storefront space of its own, but for now, we are blessed to have it, and its sweet owner, sewing in our home. Sometimes the hum of a sewing machine is a glorious thing! And another, and another, and...wait, today we have OFF!! Yay us. Because of the holiday, all of our Wednesday commitments have been canceled. Can I just tell you that, although I will miss seeing friends, I am glad for a small break?! Anyone else tired? So while I am not crockpotting (yes, I made that word up) this week, I think we can expect that next week will have something to do with leftover turkey. Just a head's up! 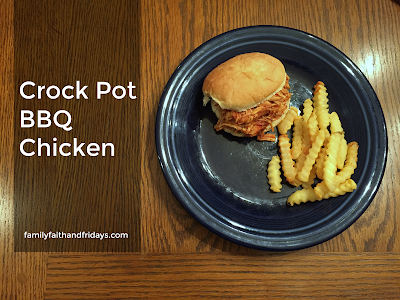 In small bowl, combine remaining ingredients and pour over chicken. We served it with french fries. Yes, the frozen kind. I told you- EASY is the theme. No judging! Off to- oh, nowhere today! Yay us! OK, it took a few weeks to get this up, but here is the finish to our rearranging three rooms. Yes, three! Go big, or go home, right? We had some extra furniture about that was to move out with Ashton but now that she is staying put for the time being, we needed to regroup and rearrange. We pulled cushions off, piled things along the edges, and hauled furniture into different rooms! Ashton and I did most of it ourselves with the exception of carrying a sofa outside and around the house to the downstairs and one up. You'd be amazed at what you can do when you are determined enough! The best way to figure out furniture placement- lay out the cushions! Really, it is easier than moving the furniture two or three times. Once up the steps was hard enough! Funny thing, none of the layouts you see is what ended up happening. Another note- sectionals seem like a really good idea in theory because they can seat a lot of people. BUT, if you move a lot like we do, they are not the best as they never fit into the next place the right way. Ask me how I know! So yes, our sectional is now dismantled and sitting in three separate places. It allows for more seating for Bible studies and company. Then we have this large, red piece. I love it and it is not really mine. It belongs to Ashton but for now she is graciously allowing me to use it. We moved it across the room thanks to those furniture mover things. If you do not have them, go out and buy them now! You need them! Really! Don't worry, a picture now hangs on that blank wall. Our front sitting room now looks like this. The piano stayed but the living room furniture came in here. It is a little snug, but I love how cozy it is! That grey sectional was downstairs, but now the once sitting room furniture has been swapped out. Not as much seating, but perfect for our family nights! Just a little cleaned up, but she says not done! Because she loves to stage rooms, Ashton also took a few minutes to rearrange the bookcase stuff as well. Other BIG changes include dismantling my school room and turning it into a sewing space for Ashton and her Ashton's Attic business. Because she is busy sewing several hours a day, we figured she needed to be somewhere bright and cheerful, rather than in the furnace room. True story! 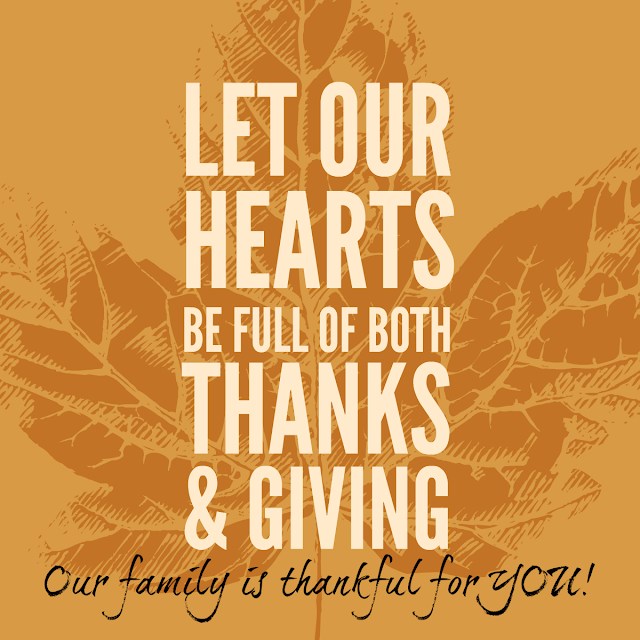 We will share that on Friday! The Blessings of Unity by Richard Case is a small, 130 page paperback book with a lot of punch, written to help strengthen marriages and draw us closer to Christ. By "Abiding in the Vine and Walking in the Spirit" as well as learning what unity really means and applying that to our marriages, Case contends that our lives will be more grounded in Christ and our marriages a blessing. So what is the definition of Unity? "When a man and a woman (in the case of marriage) strive for agreement with God in processing His will on every decision and in every issue," according to the author. There is a lot of practical advice in this book, but more than that, there is a lot of scripture in this book! Page after page, Case backs up his techniques and advice with Biblical references, pointing back to the one place that has all the answers- the Bible. My thoughts? Here is a quote I loved, "We knew that if we disagreed...that either God would alter Linda's heart, alter my heart, or show us something brand new that neither of us had considered (p. 39)." I love that Case repeatedly says that finding resolution or working through a problem is not about one person changing the other's mind or getting their way, but about praying until they are both on the same page- in agreement with God! "Remember that unity is never a forced agreement or a compromise, but rather, an honest process until unity with the Spirit is reached (pg 80)." How beautiful of an image. If we desire to follow God, we should desire that His wants become ours. Division is caused by our natural selfishness. Unity is not negotiation or compromise; rather, it is unity with the Spirit. The basic key to unity is [to want to have] unity! 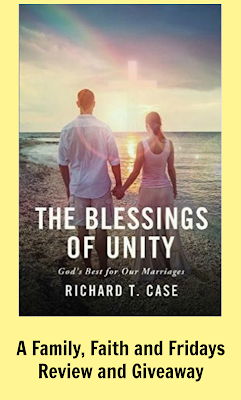 While there were a few points in The Blessings of Unity that I did not completely agree with, I think this book is a good one, for the newly married to marriages of old. The scriptural reminders and examples alone deserve careful consideration with regards to how we handle problems and how we view unity from a Biblical perspective! Fly By Production is graciously allowing us to offer a free copy of The Blessings of Unity to one of our readers. Leave me a comment and a way to contact you and a random winner will be chosen next Thursday! All for Jesus Ministry is also offering you Unshakable, a free 9 page book you can download that will help and support growth in Christ! We love books and we love Christmas, so the chance to review a new Christmas book- score! Each year we try to add to our collection that we pull out December 1st. I love snuggling by the tree in the evenings together reading Christmas classics as well as newer books we have collected through the years. As the children get older we read together less frequently, but seeing the Christmas book basket grow still makes my heart sing- it will be waiting for grandchildren some day! 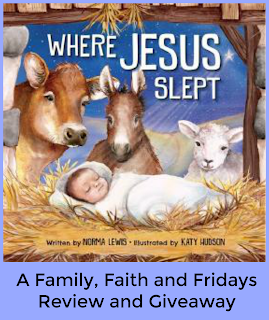 This year's new book is Where Jesus Slept, by Norma Lewis, author of ten additional books. This large, 32 page book written for 4-7 year olds is sure to delight! “This is the bed where Jesus slept. This is the straw that lined the bed where Jesus slept,” begins this sweet story about the birth of Jesus. From there each page adds a new element to the story- from the cow, stable, Mary, child, angel, and lamb, to the shepherd, star, wise men, and gifts. 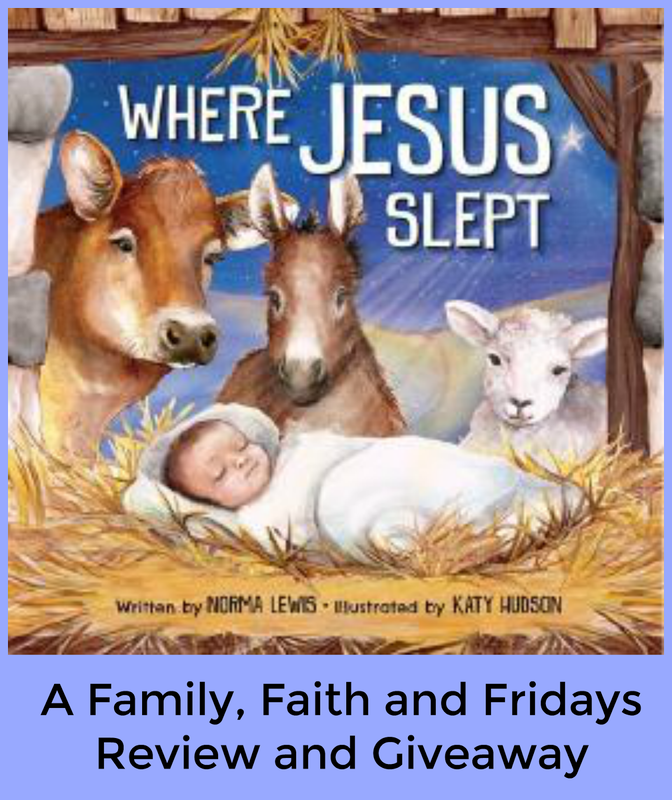 By repeating each previous line, the author uses rhyme and rhythm to capture children's attention while telling the Christmas story of Jesus' birth. And the illustrations! Wow! This is the second children's book we own that has been illustrated by Katy Hudson, and we just love her. Her bright colors and sweet drawings are just pretty to look at, and I think the vivid colors are just beautiful. If it bothers you, please be forewarned that baby Jesus is pretty fair skinned, as are several of the other characters, and the angels are portrayed with wings. I will say that even though my son is several years older than the intended range for this book, he really has enjoyed reading it several times and is excited to add it to our basket. When I asked him why he liked it so much he said he liked all of the rhyming words. You never know what is going to capture a child's attention, right? Thanks to Fly By Productions, we are able to offer one of our readers this fun holiday book! As always, just leave me a comment and a way to get a hold of you and we will select a random winner next Thursday! You know by now that our family likes games, right? I mean, really likes. I won't name names, but it is fair to say that a few of us are a little obsessed with games. Games are a great way to foster family time and bonding, as well as build critical thinking skills and teach some pretty important character traits such as patience, dedication, and even graciousness. Therefore, the rare opportunities we get to review a new game are like Christmas at our house. As soon as the package arrives, it is game time! The arrival of Commissioned by Chara Games was no exception! Because our family has three children over the age of 15, finding a new game for ages 14 and up is a bonus. Luckily for us, our 9 year old is the king of games and with some careful guidance was able to keep up for all subsequent games. Actually, he has become quite good at it, and Commissioned is frequently the first game he will ask to play these days. Chara Games is a relatively new company founded by husband and wife team, Patrick and Katherine Lysaght. As evidenced by their first release, the game Commissioned, their goal is to produce quality family games that not only encourage family togetherness, but also present the Gospel and teach Bible knowledge in a way that is encouraging to believers and non-threatening to those who don't believe. What impresses me about that is that in doing so, they have in no way watered down the Word of God! Let's talk about quality for a minute! I like hearty games. You know, the ones that are still around and in one piece after hours of play! Commissioned passes my test and then some! The two sided playing board is a heavy, quality board that folds up easily. The cards used in play are beautiful, full color and a durable thickness. All of the playing pieces are wooden, which I love! The game also comes with a detailed set of instructions, as well as an additional thematic appendix which further explains the historical background around the people and situations used within the game. So that detailed book of instructions...let's talk about that! Yes, it is detailed. Yes, you will need to read it. And then probably re-read it. But do it! It is worth it. And then while you are at it, go watch the video on how the game is played. I admit, we actually watched several, but remember, we are game obsessed. At that point it was no longer about the "how to" as much as, "can we pick up more tips on how to win!" So what is the game about? Commissioned is a cooperative game that allows you to step into the world of the apostles and help grow the church and thus spread the Good News. There are 5 double sided scenario cards that allow you to choose which "version" of the game you play and detail what you need to accomplish to win. These cards allow you to change up the game each time you play so as to not get bored quickly, but I will tell you we have only played the first card in all the times we have played (A LOT) because it has continued to be challenging! The second side of the board is used to play one of those scenarios. So you choose a card, set the board up, choose which apostle each player will be, and begin! For each round you play, there are specific actions you follow. By going through the "arming," "living," and "maturing" phases, each player uses their Apostle's distinct attribute to try to progress through the regions. An hour later, you may be done! Maybe. Ha! The first time we played though we were supposed to have a church plant in each place, but we set our goal for one area and stopped. The learning curve slowed us down, plus remember, we have a 9 year old who was determined to learn the game. The second time we played, we did pick up the pace a bit and finished in just over an hour. Now we average 45 minutes to an hour each game. Our experience and thoughts? Although Commissioned took us a few times of play to get comfortable with, we love the game. I love that it is cooperative, and I love that it is Biblically based. It is one of those games that has quickly become one of our family's favorites. So much so, that we took it with us when we went to visit our college kiddo so we could teach her. Yep, we played it in the hotel! I like that there are many different modes of playing by using the scenario cards, as well as a dice that adds variation and prevents "alpha gaming," which is when one player dominates a cooperative game. (we have one of those kinds of players!) You can also play in Disciple or Martyr levels, making it easier or harder. I also like the lessons the game teaches. For example, each player draws a "trial" card on their turn and then follows the instructions related to that trail. What our family eventually found was that some of the bad scenarios that we thought threatened our chance to win, in the end actually helped us, such as the dispersing of the church due to persecution or flood. It was neat that we were able to show the kids that persecution is often a way that God allows the church to grow, even now! If your family has enjoyed strategic or cooperative games in the past, I know you will enjoy this one. Add to our excitement- Chara games is getting ready to release their second game, 3 Seeds, and we will soon have the privilege of reviewing it for you as well. 3 Seeds is a card game geared for a slightly younger audience and we cannot wait to share what we think of it in a few weeks! Be on the look out for that review, but in the meantime you can click on the banner below to see what other Crew members have to say about Commissioned! 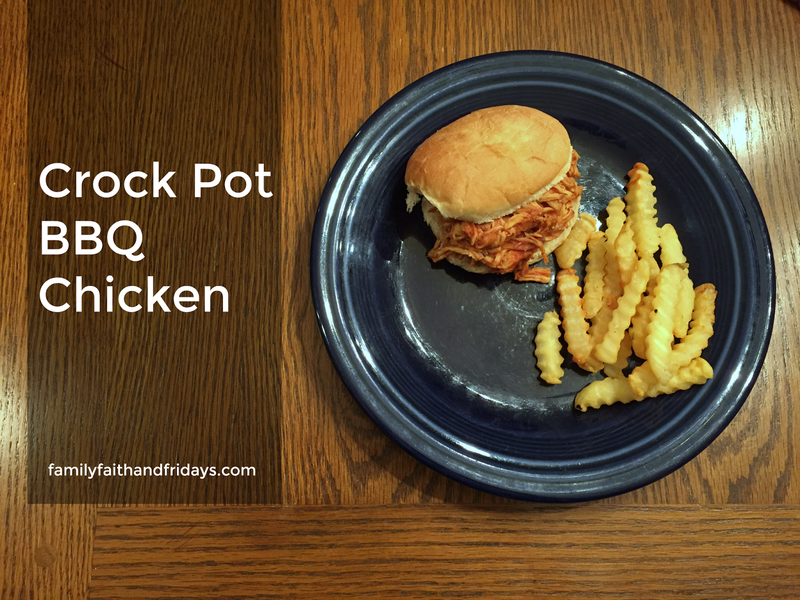 Quick Crockpot Meals for Families on the Go!